Award of Distinction: $1 million and higher — From left are Larry Britain, Steve Riehle, Brian Prickett, Marsha Bennett, Robyn Clifton, Sheri McIntosh, Connie Gray, Brenda Barr, Cheri Honnerlaw and Sue Walker. Not pictured are Leah Grant and Bradley Cochran. Award of Merit: $750,000 to $1 million — Mike McCarty, Susan Utley and Ray Sarkees. Not pictured are Shelley McCune, Melissa Reeder and Jarad Holmes. Award of Achievement: $500,000 to $750,000 — LeaAnn Wagenseller, Terri Streber, Ryan Frommling and Tracy Meares. Not pictured are Chuck Rich and Jamie Garen. Steve Riehle, left, installs the 2019 Clinton County Board of Realtors officers. 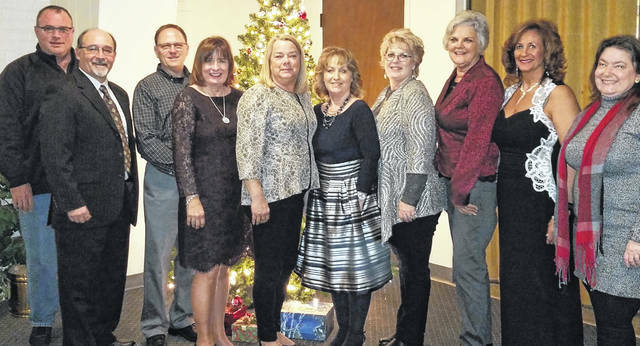 From left are outgoing president Sheri McIntosh, Vice President Robyn Clifton, President Connie Gray, Treasurer Brenda Barr, Secretary Sue Walker, Director Ray Sarkees, and Director Bob Germann. 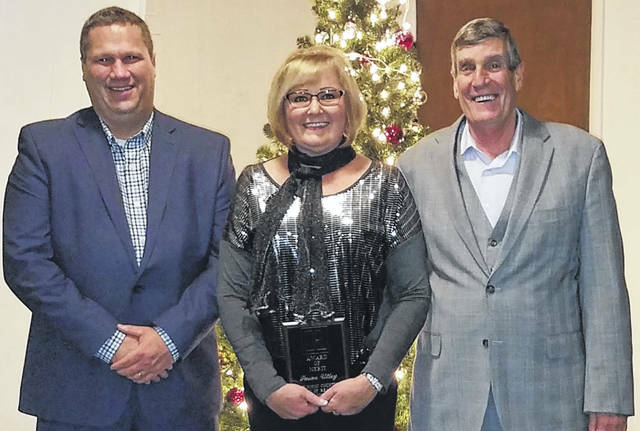 WILMINGTON — The Clinton County Board of Realtors hosted its 2018 holiday party on Dec. 14 at the Wilmington Elks. Altogether, 89 realtors, affiliates and guests enjoyed appetizers, dinner, trivia, a 50/50 drawing and door prizes, followed by dancing. 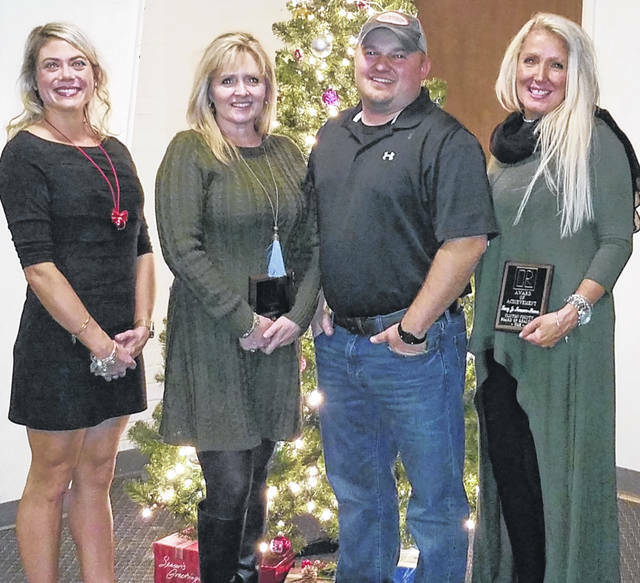 The night also included the formal installation of the 2019 Clinton County Board of Realtors officers, as well as the presentation of sales awards.